What’s a birthday without a party? Over the next year, our treatment plants are turning 50! Kids today have clean water and healthy beaches. To celebrate this major milestone, we’re kicking off a year-long campaign that will rock into summer 2016. Festivities begin at the Seafair Pirates Landing on Alki Beach June 27. WTD employees will be there with fun giveaways plus information about our history as the agency that solved a major water pollution problem. It’s hard to believe now, but in the 1960s, Lake Washington was too polluted for swimming and fishing. Raw sewage flowed from the end of every street directly into Elliott Bay, the Duwamish River, and the waters around Alki, Shilshole, and Discovery Park. No one went to the beach on a summer day — people just stayed away. 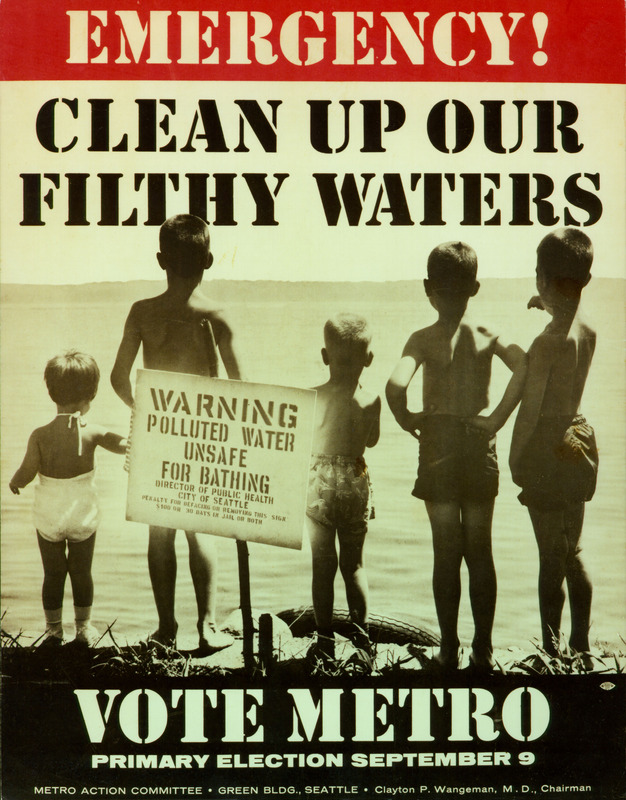 In 1958, voters approved a measure to build the regional sewer system that cleaned up that mess. On July 21, 1965, King County’s South Treatment Plant in Renton went into service. The West Point Treatment Plant in Seattle’s Magnolia neighborhood began operating on July 20, 1966. 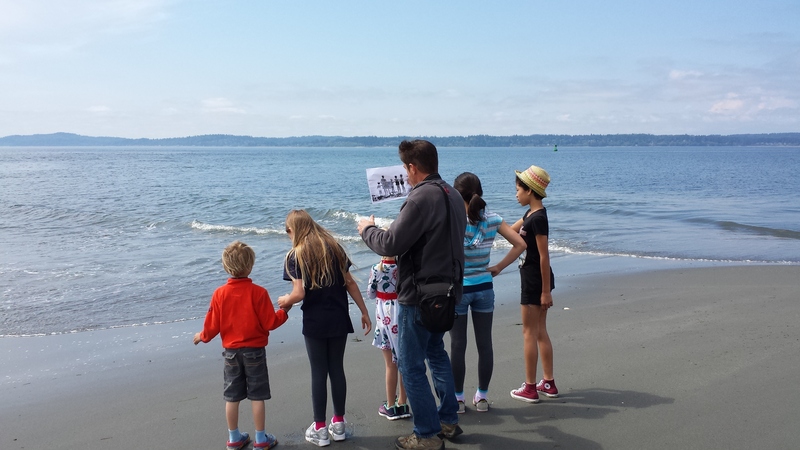 In the following years, water quality in ALL our local waterways improved dramatically, and today Lake Washington is one of the world’s cleanest urban lakes! But we’re not stopping there. Technology makes it possible to do more than we ever dreamed when we built those first treatment plants. We now recycle water for irrigation, make compost and fertilizer, and even produce energy to run our plants and put back on the grid! Poster for the Metro campaign, 1958. We’re excited for the next 50 years as we explore even more ways to support healthy, sustainable communities. In the meantime, let’s party! See you at Seafair!